​West Ham midfielder Manuel Lanzini has spoken of his desire to return to his Argentina homeland, but his dream move has been dashed due to his rising value. Lanzini joined up with the Argentinian national team this week and spoke to the local press about returning to his old club River Plate. As reported by Argentinian ​AS, he said: "River makes me happy, they are living incredible things since the Doll [Marcelo Gallardo] arrived. I was in Madrid, in the Emirates and I know that at some point I'll be back if the club allows me to." However, River Plate president Rodolfo D'Onofrio dismissed the idea, claiming the transfer would be impossible. 'He's worth between €40-50m. It's impossible to return now,' D'Onofrio told ​DirecTV Sports (via AS). Lanzini was one of a select group of players to attend the River Plate academy, that also produced players such as Hernan Crespo, Javier Mascherano and ​Gonzalo Higuain. The Argentine left River Plate in 2014, moving to Abu Dhabi club Al Jazira where he spent just one season. He joined ​West Ham in 2015 in a €12m move, becoming a cult hero and drawing interest from other Premier League clubs by scoring 20 goals in 104 appearances for the Hammers. In spite of Lanzini's desire to return home, he's tied down to a contract with West Ham until 2020. A serious knee injury at the end of last season meant that Lanzini was unable to play for Argentina at the World Cup in Russia. The ongoing injury has restricted him to just five appearances for West Ham in the Premier League this season as well. 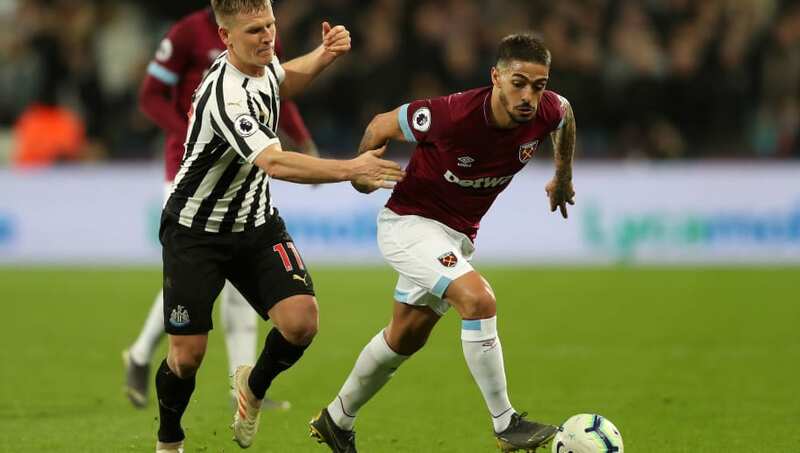 Lanzini's call-up to the Argentinian national squad was something of a surprise given his lack of game time this season and he failed to even make the squad for Friday night's game against fellow South American side Venezuela. That match ended in a shock defeat for Argentina, going down 3-1.